I was talking with a friend of mine the other day and he brought up an image that I’d like to share with you. He spoke about a eureka moment he had recently. He was in an older neighborhood in Toronto which used to be an industrial area that’s filled with wonderful old buildings from a by-gone era. They were constructed about 100 years ago and unfortunately have outlived their usefulness. The manufacturing companies that once owned them have long since departed and taken their operations either to the suburbs or in many cases to a cheaper country but that’s the subject of another blog. My friend talked about his dad working in one of these factories assembling parts at a table as one of a long row of workers. 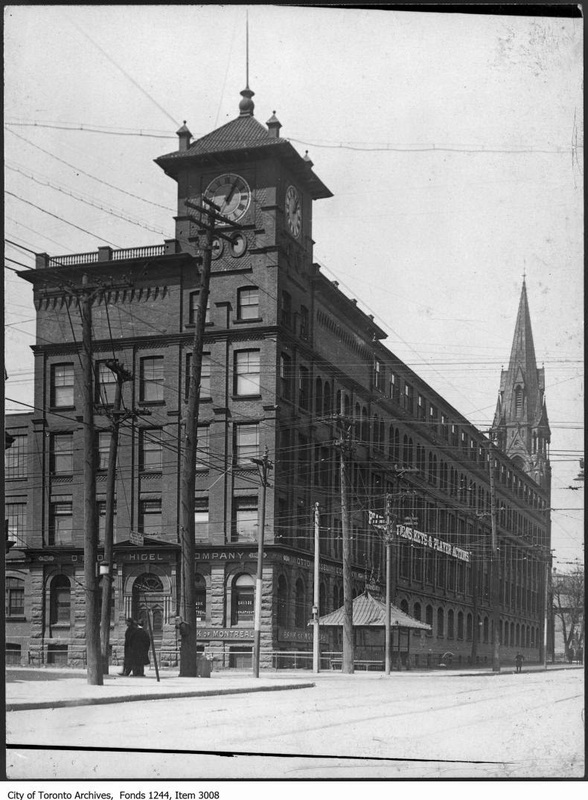 The factory consisted of rows of tables with workers making parts and assembling them into products for sale in the Canadian market. This area is undergoing an urban renewal with the manufacturing companies being replaced with trendy IT companies. The buildings have been refurbished and due respect is paid the previous tenants with gold name plates commemorating the original owners of the building. As my friend wandered through this neighborhood, he had a deep reflection. That is, that the rows of people working at their tables assembling machines has been replaced with rows of IT professionals working at their computer stations assembling code for software programs. The lunchboxes of old replaced with the laptops of today. Sadly, many of the same workplace issues of yesterday can remain in place today. Repetitive tasks without the ability to change and improve the work can lead to a dis-engaged workplace as much today as it did 50 or 100 years ago. Empowerment to make change, remove waste and improve the way work is done gives people some control over their immediate work environment. The result – an engaged workforce constantly seeking a better way. There are many lessons we can learn from studying the past, that’s the essence of reflection.